Perhaps one of the most noticeable features of the Archer 2 is its extraordinarily bright IllumiView™ display. From conducting customer research, we found that the most important “need” listed by our customers was a bright display that could be easily viewed in direct sunlight. So, in designing the Archer 2, we decided to invest in efforts to improve this feature, which I’ll detail shortly. We have been very excited with how the new IllumiView™ display has turned out. It is brighter and sharper than any of our previous handhelds, and, according to our product manager, Josh Egan, competitor products “don’t even come close.” Customers are astonished at how bright the Archer 2’s display is, and we’ve even had people whip out their smartphones to compare the clarity of the displays. 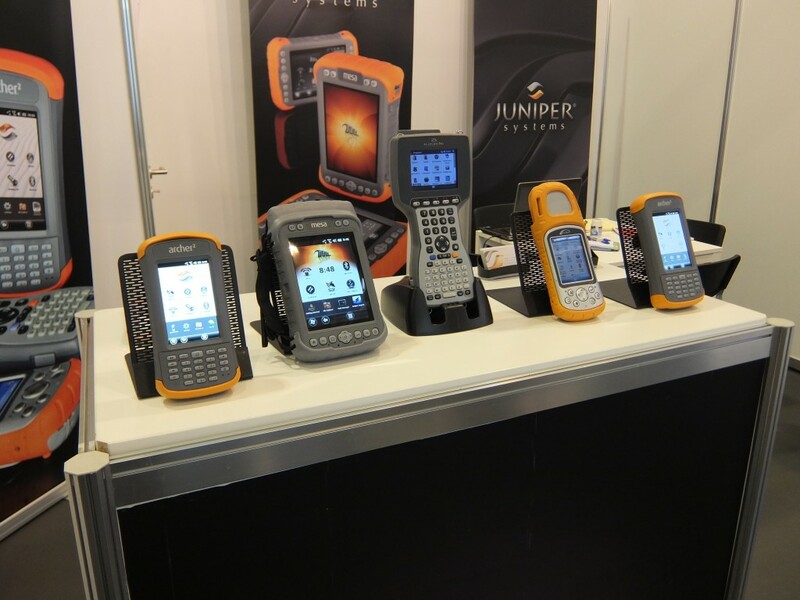 Here is an untouched photo of the Archer 2, as it compares to our other rugged handhelds. You might be tempted to think that the displays on our other handhelds look poor, but they actually perform very well and have excellent readability in direct sunlight; it’s just that the Archer 2’s IllumiView display is that good! So what’s the story behind this super display? Below, I’ve described the efforts and technology that went into our pursuit of the best display in the industry. First, we went on a search for the best display we could find from manufacturers around the world. We sifted through many options until we were satisfied with both the display and the manufacturer, even if it cost us a bit more; we felt the cost was justified. Now, a great display is only part of the equation. You can have a great display, but, if poorly implemented, it won’t look any better than any other display. In order to avoid this, we took several steps to ensure an implementation that would magnify the display’s potential, listed below. We switched from using a resistive touchscreen, as we have in the past, to a capacitive touchscreen. While resistive touchscreens have been the prevailing technology used in the rugged handheld industry in the past, capacitive touchscreens have many benefits to offer, and a few manufacturers are beginning to make that transition. Compared to resistive touchscreens, capacitive touchscreens have fewer layers for light to pass through; reducing the amount of light refraction that can occur. Less light refraction means improved luminance and clarity, which is what we were going for. Capacitive touchscreens can increase a display’s brightness about 20% over resistive touchscreens. The third major element that went into creating the IllumiView display is called optical bonding, a special method of fusing the display with the touchscreen. 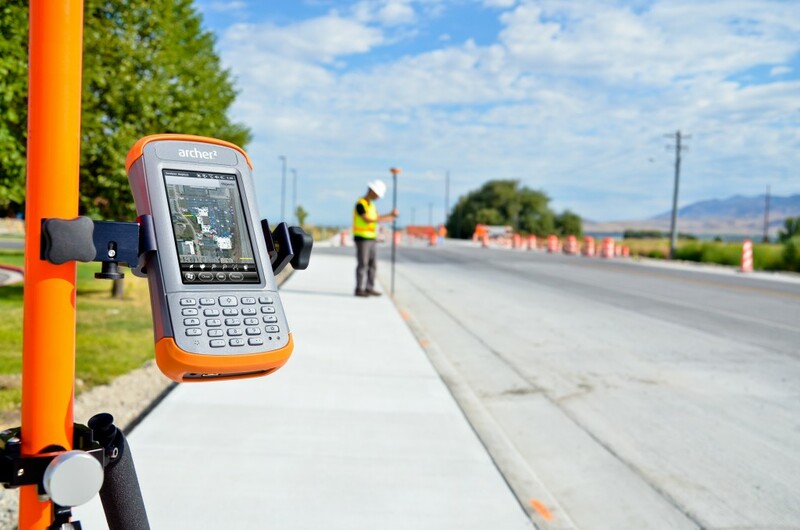 Most rugged handheld displays have an air gap between the touchscreen and display, which allows for light refraction, and thereby decreases brightness and clarity. However, optical bonding involves attaching the touchscreen directly onto the display, eliminating the air gap and thereby increasing the brightness and image clarity. 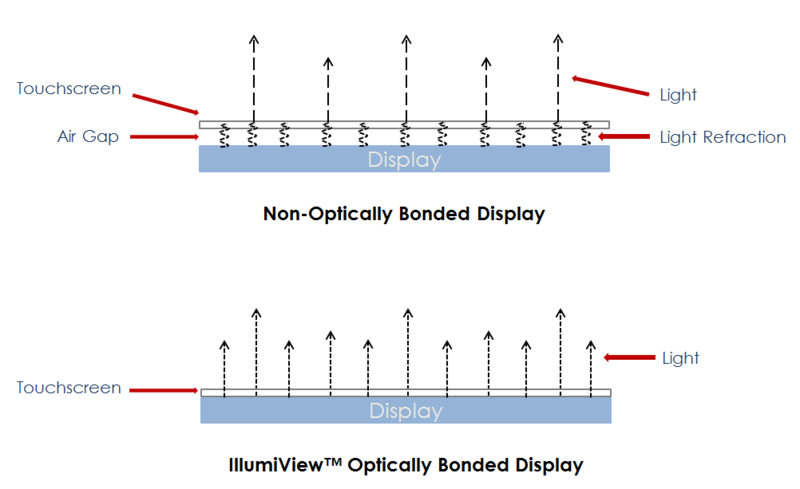 Optical bonding can increase a display’s luminance by about 15% over a non-optically bonded display. 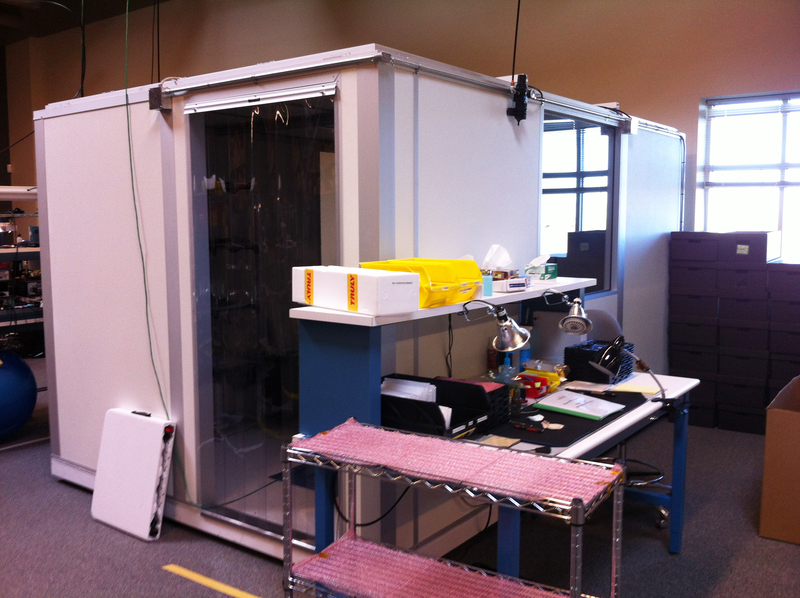 To optically bond the display, we needed a cleanroom in order to keep out any dust and particles from the bonding process. We acquired a new machine that would lay a very even amount of glue across the surface of the touchscreen, which would then be glued to the display. How do you like our new cleanroom? Optical bonding is not often used in the rugged handheld industry due to the fact that it is more expensive and fewer manufacturers use capacitive touchscreens, but we’ve been very happy with our results. While it definitely took a lot of extra effort and some added expense, we have been very pleased with how the new IllumiView display has turned out. Contact us if you’d like to learn more about the Archer 2. Stay tuned for our next post on the custom technology used in the Archer 2’s battery, enabling it to last 20+ hours on one charge! To make it easy, just subscribe to Get Rugged to receive new post notifications right into your inbox. Good morning, I wonder if they have the display with touch screen for PC ARCHER FIELD PC. As part cost with shipping to Colombia, thank you very much. Hi Alberto: The new Archer 2 is replacing the Archer Field PC, so the Archer Field PC will only continue to be available for a limited time. The IllumiView display and capacitive touchscreen is only available on the Archer 2. If you would like a shipping quote on any of our products, you can contact sales@junipersys.com. Thanks! I need to buy a display of Archer 2. Can you help me?